The rise of 'New Wave' cinema in 1970s Hong Kong has had a significant cultural and economic impact on the film industry of China. "Hong Kong New Wave Cinema" (1978-2000) presents a comprehensive picture of the films made in this vibrant era and the complexity of issues they tackle such as East-West conflict, colonial politics, the struggle of women in a modernizing Asian city and identity crisis, all portrayed in visually striking ways.Tong delves into the cinematic style and aesthetics of the New Wave directors, many of whom were graduates of Western universities, and applies auteur and genre theory to the group's work. The book explores the development of TV and film industries in Hong Kong during the 1960s and 1970s, the elevated quality of cinema during this period and the entry of Hong Kong filmmakers, such as Tsui Hark and Ann Hui, into the mainstream and Hollywood in the 1990s. 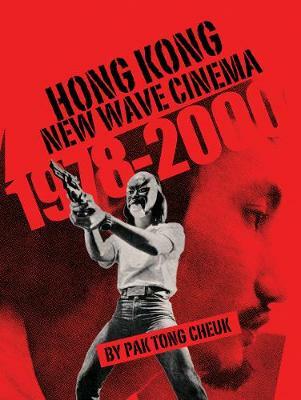 "Hong Kong New Wave Cinema" maps the birth and eventual decline of celebrated 'New Wave' in a fascinating and thorough manner. Tong relates the movement to a wider historical context of the developing society and culture of Hong Kong at that time. It includes comprehensive coverage of the Hong Kong New Wave. It offers in depth treatment of important and influential films. It presents relation of films to the historical context of the development of Hong Kong during the period. "An interesting and detailed look at one of the most vital movements in the film industry during the latter part of the twentieth century. Pak's work not only gives an informative overview of the origins of the movement, but goes into detail about the works of some of the most notable New Wave directors, including Tsui Hark, Ann Hui, and Patrick Tam, and the effects their pictures had on film-makers from all over the world." An interesting and detailed look at one of the most vital movements in the film industry during the latter part of the twentieth century. Pak s work not only gives an informative overview of the origins of the movement, but goes into detail about the works of some of the most notable New Wave directors, including Tsui Hark, Ann Hui, and Patrick Tam, and the effects their pictures had on film-makers from all over the world.